We've all had those moments where we kept hearing about how good something is and how we must check it out for ourselves. I read all the positive reviews about the Urbini TravelSystems and knew I had to try one out for myself. Having a baby, whether the first or subsequent, you really do want to provide for the best for him/her coupled with finding ways to make your life a little easier. 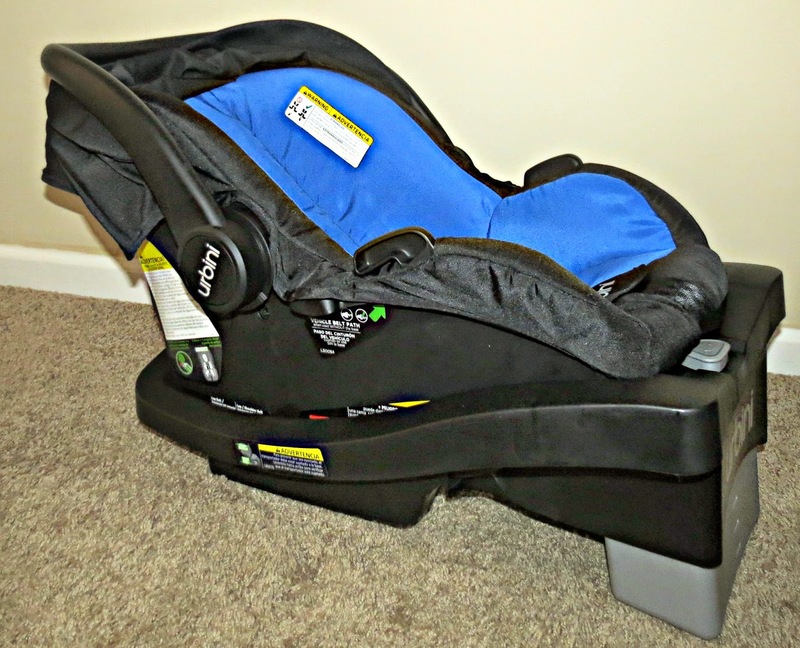 In the past, I had a smaller stroller for portability reasons, a car seat and a bigger stroller which makes life complicated not to mention a space saver they were not. The Urbini Emi Travel System is a full sized stroller but it's lightweight and truly does make life on the go much easier. Having the flexibility to have a seat that reclines is perfect for long excursions where my baby needs to sleep or is wide awake and wants to observe everything around her. The large canopy is ideal for keeping out the sunlight or protecting against snow or rain. 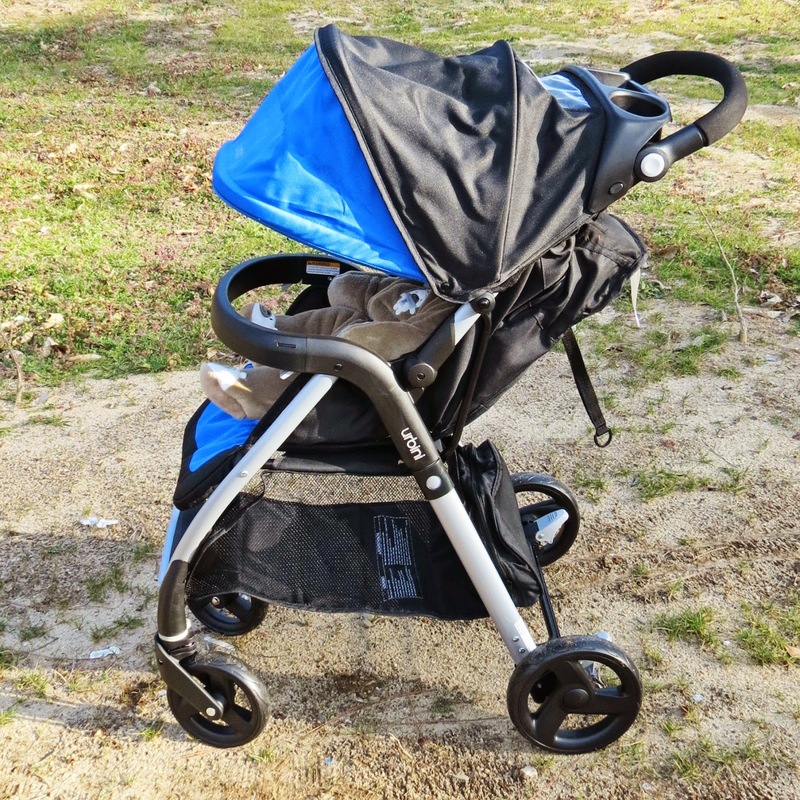 This stroller is also ideal for outdoors since the front swivel wheels makes it easier to steer and get around uneven terrain. I've had strollers in the past that make it very difficult to take a walk due to the wheels always getting stuck. It's very easy to push. Unlike other strollers, it's easy to open and fold without having to worry about smashing a finger or needing super human strength. This was a huge plus for me too as I've had too many in the past that were complicated to shut or open. I, like many, utilize the stroller when I shop and being able to place my packages and diaper bag in the very large basket that also has a zipper compartment to stow away something I may not want to be in plain sight. The adjustable handles are perfect for when I'm out and about since I'm short and it allows for easier pushing. When my husband, who is much taller, is in charge of pushing the stroller, he now has the option to adjust to his height instead of having to hunch over. 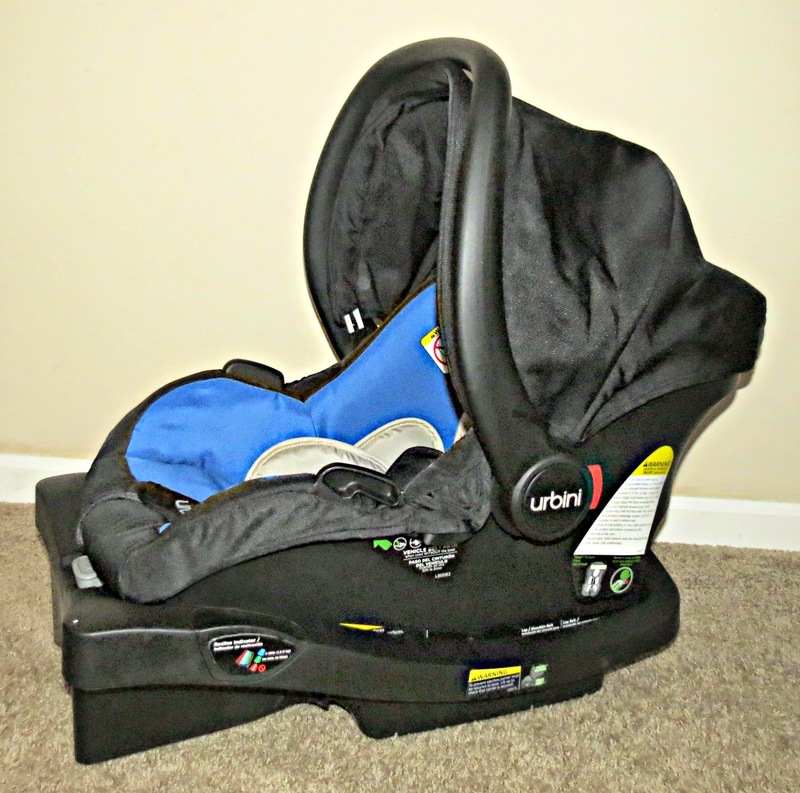 The Urbini Sonti infant seat comes LATCH equipped with a 5-point safety harness and crash and side impact protection as you never want to take a chance in improperly safeguarding your children in faulty or less safety minded seats. 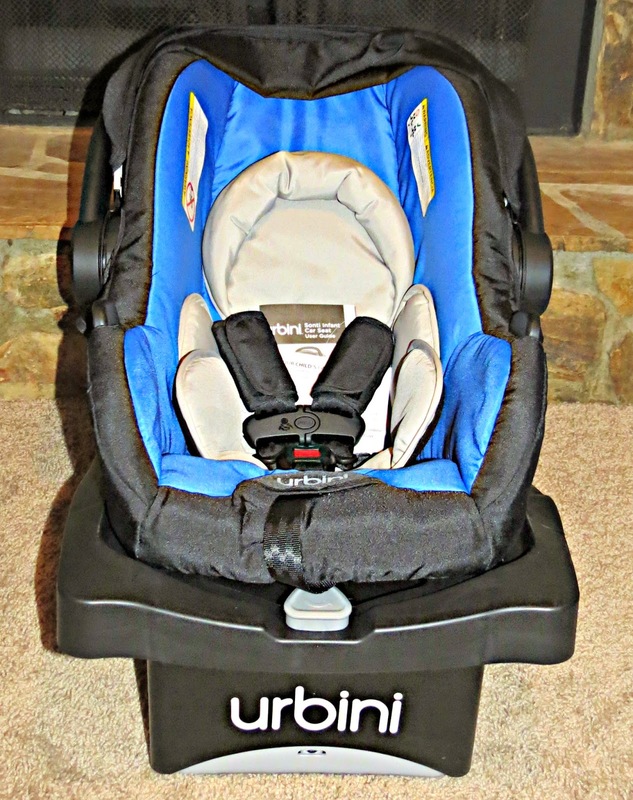 Overall, the Urbini Emi Travel System meets and exceeds our expectations. I love the Electric Blue color and so does my son. I took him outside in it and in no time, he feel asleep. It's practical to have a stroller and car seat in one and since he can use it up until he's over 35 pounds, it's a win-win. 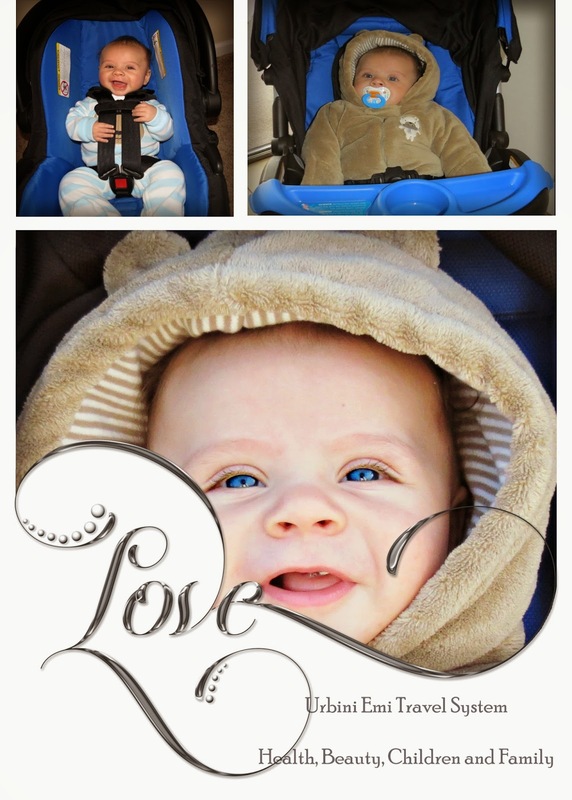 He will go with the stroller and given it's such a smooth ride, he is happy along with us! The Urbini products are exclusively available at one of my favorite retailers Walmart. This looks like such a high quality travel system! Very comfortable and safe, too! I learned that the stroller is easy to unfold. The one I had for my kids when they were small pinched my fingers many times. I learned that this has The adjustable handles, which is a really nice feature. Looks very rugged and durable- so glad such great Car seats like this one exist- kids are so lucky now adays. I love the adjustable handles and large canopy. This looks really cozy!